Unknown subjects rammed a police vehicle before fleeing in what was believed to be a stolen car. Farmingdale, NY - February 14, 2014 - Homicide Squad detectives are investigating a police involved shooting that occurred on February 14, 2014 at 9:12 pm in Farmingdale. According to detectives, during the search for a stolen car that had just occurred from the parking lot of the Lotus Garden Chinese Restaurant, 345 Conklin Street, the vehicle was observed by an officer in the parking lot of the Spartan Diner, 1580 Broad Hollow Road, Farmingdale. As the officer was beginning to exit his police vehicle to conduct an investigation, the stolen car, a 2008 white Toyota Highlander, drove at and collided with police vehicles door, which forced the officer to withdraw his service weapon and fire a round at the subjects vehicle. The stolen auto, which was believed to be occupied by three to four unknown subjects, fled the scene on Broad Hollow Road in Suffolk County. The officer, who was physically uninjured during the incident, was transported to an area hospital for evaluation. 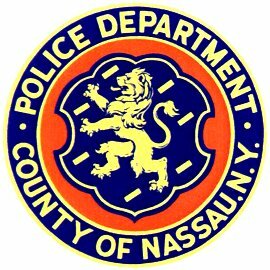 Subject: LongIsland.com - Your Name sent you Article details of "Homicide Squad Detectives Investigating Police-Involved Shooting in Farmingdale"